Ever since the creation of the Nintendo Switch and the upgrade of the DS, it seems like handheld games are coming back in full swing. Gone are the days of colorless Gameboy systems and in are the days where you can port an entire console game into a tiny handheld system. So what exactly is the allure of beating down a boss on one of these tiny game systems? You might think that because the screen is smaller and the controls are not in traditional controller form that it’s far less fun. However, judging by the affinity that the current generation has with them, you’d be surprised to know that gaming is going back to its roots a bit — And handheld gaming is all part of that! You have a seemingly endless number of options when it comes to choosing what type of games you can play on these systems. Anything from retro games all the way up to current games and remakes is easily accessible. Consoles such as the Switch, Vita, and DS are all game systems that feature modern-day game sagas and franchises and are updated monthly. Other gaming systems are designed to feature an enticing array of retro games, completely with beloved franchises such as Super Mario. Regardless of what your child is seeking in their gaming system, these are portable, easy to use, and can easily pass the time. They’re not as demanding as a traditional stationary console and allow for the freedom of travel as well as being luggage and space-friendly. With so many modern advancements in the gaming world, finding a handheld system for your child should be a no-brainer but it’s definitely quite overwhelming. When faced with so many great systems, you might be looking for a little extra help — And if there’s one thing we love doing, it’s nerding-out in order to provide you with the best options out there for your skilled gamer. Everyone has heard of the Nintendo Switch before and the reason is that it really is just that high-quality. There are games being created and ported to this system on a regular basis, meaning your child will never run out of dynamic things to play. This console premiered at a great time since the PlayStation 5 isn't set to come out anytime soon and the hype from the Xbox One was just dying down. Nintendo seemingly made a comeback with their gaming system that could be used as a portable, handheld device and also as a stationary game console. After years of perfecting the GameBoy, which is what they've been known for over the last decade, they were finally able to create a system that was high-quality, top of the line, and able to keep up with its competitors. What makes the Switch so great are the methods of gameplay this console provides; your child has the option of splitting the controller in half and playing single-player games with one separate controller for each hand or engaging in multiplayer gameplay, a stationary option in which the console itself remains unmoved in its dock, or portable gameplay. What we're really interested in, however, is the third option -- This console allows the main dock to be left stationary while the actual motherboard can be pulled out, connected to the controller, and used as a handheld game. The concept behind this system is nothing short of genius with its unanimously excellent reception. With access to popular games such as Breath of the Wild and the recent Square Enix ports, your child will have a blast showing this thing off to his or her friends. This console is all-encompassing as far as gameplay goes. You can easily switch back and forth between portable and console play without missing a beat. The ability to transition back and forth allows for freedom and versatility. The quality of the graphics never seems to lack even though you're switching between two game modes. Nintendo has always been slightly behind with their consoles and quality, which is why the Switch is bringing their reputation up and gaining the attention of game developers. The days of GameBoys have been easily replaced with the 3DS and the XL is the most updated model of that. Its dual-screen gaming makes it fun, versatile, and simple to use. You'd think that Nintendo was reigning supreme when it comes to consoles and that's not completely inaccurate. The 3DS is what essentially replaced the GameBoy and features a dual-screen feature that's helpful when opening multiple menus, exchanging in-game dialogue, etc. The New 3DS has been upgraded to look sleeker and feature much more high-quality images and gameplay. The processing power has also been increased for much smoother gaming quality that's noticeable when compared to earlier models. Facial tracking has been added as well as a C-stick which is helpful for more exact game mechanics. All the previous games created for the 3DS are also backward compatible with this system so you won't have to worry about purchasing an entirely new game library for your child. It's a great option for gaming on the go when trips can be boring or monotonous. This game system is super slim, allowing it to easily slide into a backpack or carrier bag with no problems whatsoever. It doesn't take long to start up or shut down and its increased processing power adds a smoothness that other handheld games often lack. While previous models produced complaints as far as gameplay and system glitches go, the New 3DS is living up to its name. It's the most modern system you can get right now as far as portable games go and it has an overwhelming number of games to choose from. The Vita is a portable gaming system for the PlayStation 3 and 4 and also functions as a full tablet. It's the perfect all-in-one for any kid who's old enough to know how to use it. Perhaps your child is a fan of PlayStation game and desires something that he or she can just take on the go with them. The Vita was the answer to that and gamers everywhere often opt for this on road trips over anything else. With the same high quality that goes into producing the PlayStation, Sony produced the Vita with the capacity to handle many of the same games that you'll find on the PlayStation Network. This is great news for those who might not be all about stationary, traditional console gameplay and thoroughly enjoy being able to bring their gameplay along with them. This edition of the Vita even allows kids to stream their PlayStation 4 games straight to their device when they're not at home, making it a very similar system to the Nintendo Switch. Recently, over 150 games from the PlayStation 3 have also been added to the Vita library, allowing it to be somewhat backward compatible as well. That's not all this device does, though, if you can believe it -- It also functions as a full tablet, allowing your child to download apps and use the internet for social media purposes, music, watching shows and movies, etc. Where the Switch remains as just a gaming device, the PlayStation Vita goes so far beyond what you'd expect. It's essentially a tablet that allows for portable PlayStation gaming which is a great attribute to have for kids who are always on the move. The fact that streaming is now a feature on this device is what sets it apart from any other portable gaming device out there. Kids can now go back and forth between their PlayStation 3 and 4 games and their Vita, allowing the utmost freedom and versatility when it comes to game systems. This is the first, basic edition of the console produced by JJFUN. It's the original and perfect for starter gamers and as a simple, uncomplicated gift for anyone who has yet to experience retro games. Sometimes retro is better and there's no denying that the classics are classics for a reason. Retro games will never lose their popularity simply because they were the first to make it and will always bring with them a sense of nostalgia. For new-school gamers, such as your children, retro games will always have the allure of being something unique and different that they can try their hand at. The JJFUN RS-1 is a great way for them to do this; it features 152 classic games such as Super Mario, Pac Man, Donkey Kong, and Contra 1. These are the games you grew up with and now, you can pass along that same love for gaming to them! This console comes in four different color options and features simple controls in the form of a directional pad, three active buttons, a start/pause button, and a reset button. It's easy enough to play and very age-friendly. While the screen size on this console isn't huge, it does have the capability to be hooked up to the TV screen. This allows it to act like a normal gaming console while kids play their new favorite retro games on the big screen. All 152 games are built into this system which allows your child to have an expansive collection without needing to purchase anything outside of this system. It's a great trade-off for the price and offers entertainment that your entire family will enjoy. It's a more serious console for the child who loves portable video games. The JJFUN RS-1 PLUS includes all the features needed to upgrade the previous model of this console. This version of the previous gaming system is slightly bigger and functions more as a handheld game rather than one that's highly portable. The screen is slightly larger, the console itself weighs a bit more and feels more solid, and it comes in two classic colors. This system features all the same benefits as the RS-1 but features 218 games instead of only 152, giving it one of the largest libraries of built-in games on this list. You'll also get several interesting options with this game including the option to connect headphones and connect the system to a compatible television set. Additionally, this console features comfortable hand grips for long-term gaming. The graphics have been improved and, overall, this is an excellent handheld game for any kids over the age of six. With a whopping total of 218 retro games, it's hard to believe that they all fit in this tiny console system. It's great for on the go gaming but also allows preteens and teens to have some alone time with the simple addition of a headphone jack. The addition of hand grips makes this console very travel-friendly and allows the user to get a good grip on it regardless of the added weight. It's comfortable for both portable gaming as well as traditional, stationary gaming on a TV. Not only does this console look pretty cool, but it also functions just as well as any higher-end system. Your child will get a silicone lanyard as well, which makes it super easy to attach to a bag or belt loop. If the previous two systems to be a bit too much of an upgrade for your little one, allow us to introduce you to the ZHISHAN system. This console is intended for use by kids between the ages of six and 12 and features 168 classic games which are plenty for a child in that age range. The screen is relatively small but young children shouldn't mind that too much since the graphics make up for the lack of screen space. The controls are simple and easy to figure out and the games have challenging levels with tons of game time. This system even comes with a silicone lanyard so that your child can hook this onto their backpack or even keychain for on the go gaming. It's designed to be highly portable and the average battery life is three to four hours, which means your child will have plenty of time to play their favorite games. This is a little more user-friendly than some of the other games systems and not nearly as overwhelming. It's great for the casual gamer or for kids who just need something to do on long car rides. The look of this system is very kid-friendly as well and features colors that are fun for younger kids. It's unisex and very kid-friendly so it'll take no time at all for them to be comfortable playing the games that you grew up with. This console is versatile as far as gaming style goes which makes it very user-friendly. Kids will have their choice of several different styles and colors which gives them the ability to personalize their systems. For the ultimate in portable retro gaming, we draw your attention to the Bornkid Game Console. This tiny system has 318 games that are all built-in so your child will probably never run out of things to play. It'll take years for your child to play and complete all of these games making this console something to behold as far as gaming goes. You'll notice that the style is different as well and resembles more of a GameBoy than anything else, making gaming easy and uncomplicated. However, this system also comes in a variety of styles so that if your child is more comfortable with a horizontal layout, that's an option, too. This system is intended for kids ages five to ten so it's also suitable for the youngest of ages, something we've yet to find out our list. Each in-game level provides an appropriate challenge without being frustrating or impossible to surpass, making it wholesome and fun. Bornkid is so confident in their product and cares so much about their customers that they're willing to replace or refund this product within 30 days. If you're not satisfied with the quality, you won't need to worry about being stuck with a product that your child isn't a fan of. The simplicity of this system is what allows it to be so kid-friendly and we love that kids as young as five can gain something from this system. Rather than just handing your child a tablet or a mobile phone, a console like this can be a much friendlier form of entertainment. For a nearly overwhelming number of games to choose from, this system has it all. It simply can't be beaten with an outstanding game library of 3,000 built-in games. Holy cow, this console is absolutely blowing our minds. Let's start off by saying that this system is not for the faint of heart, as it features 3,000 different games, making it the monster of handheld game systems. This is the largest game library that you'll find on this list and the variety is excellent. Your child will have their choice of anything from retro games to sports games which makes it super fun for the avid gamer. The screen is also relatively larger on this system and it does have the option to be connected to a television set. Additionally, this system also functions somewhat like a tablet, enabling your child to view pictures, read books, and even listen to music. It features popular game ports from classic systems such as NES and Sega but has been updated to smooth out gameplay and make for a glitch-less experience. The versatility of this system is almost incomprehensible. In addition to all the features it has, you'll also have the option to switch between 26 different languages, making it very user-friendly and diverse. It's a somewhat lesser version of the PlayStation Vita which is perfect for those who might not be familiar with Sony or have the need for all the extras. Kids who enjoy handheld gaming will surely have an appreciation for this classic take on portable systems. With 2,200 pre-installed games, there's no way your child will be bored with this system. It's easy to use and comes with only the best and most popular retro games and can also double as a basic tablet. Similar to the Anbernic, the GANGTU features 2,200 games -- Not a lot, right? We're just kidding, that's a pretty outrageous number when it comes to portable gaming systems. It's filled with retro goodies that kids of all ages will enjoy including preteens and teens. The look of this console is very similar to the Vita and has similar controls that are user-friendly and make for an easy-going gameplay experience. The screen is one of the largest on this list so if that's a quality you're looking for, this is the system to stick with. The outstanding thing about this system is that it really functions as a tablet, complete with a camera that can take some decent-quality photos. Your child will also be able to read, listen to music, and connect their system to the television while they're at it. It's a great choice for older kids who just need something more than a retro gaming device and this proves to serve a variety of popular teenage hobbies. As opposed to some of the other systems, this console not only takes photos but can store them as well. Additionally, it acts as an e-reader, allowing your child to use this for leisurely reading or even for school. The sleek design of this console features tiny hand grips that allow for the most comfort while gaming. The large screen is conducive to long-term gameplay, reading, or even flipping through photos. Overall, it's a great quality product for the money you're saving. This affordable option comes with plenty of games that will keep kids interested and occupied. It's a great gift for someone who is new to gaming and just wants something that's simple and fun. Last but not least is the Handheld Console by Biospirit. This is yet another GameBoy-style console that features 168 retro games and would be a wonderful gift for the young gamer in your life since it's not overwhelming and doesn't come with any extra features that they'll never use. In this system, they'll be delighted to find ten Super Mario Bros. games as well as more modern games such as Plants vs. Zombies. 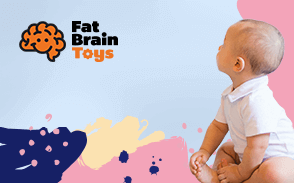 For the price, it's a great gift for any child who's looking for a new and adventurous toy and is approaching the age when the imaginary play is losing its fun. This system can support a full six hours of gameplay on one charge which means that you'll save tons of money in disposable batteries, which only last roughly three to four hours anyway. The graphics are great considering this system comes at a price that's well below fifty bucks, making this the perfect option for kids who are new to gaming. This console is loved by kids and adults alike due to its super retro feel. It's a great option as a gift for kids who have never played video games before due to its low price as well. This really provides a solid feel for what retro gaming really is. The graphics are traditional and pixelated, providing that sense of nostalgia that you just won't get from modern games. Younger kids will appreciate this easier, platformer-style gameplay. It doesn’t take someone with the mental caliber of Einstein to realize that gaming is filled with benefits that can help increase logic, critical thinking, and coordination. While they’ve often been blamed for things such as laziness and the dumbing down of society, in recent years, gaming has proved to be wildly efficient in improving mental capacity. Whether it’s due to the fact that we have access to more advanced research techniques now or just simply that we’ve loosened the “pariah” status on game companies, is unclear. What we do know is that playing games can significantly improve memory, cognition, creativity, and focus. Skill sets aside, we also wanted these systems to be fun! There’s nothing worse than receiving a gaming system for your birthday or a holiday and having it be something that’s boring, mundane, and doesn’t hold its replay value. It’s these factors that drove us in our research and while we have included incredibly popular modern game systems, we’ve also included some that provide a delightfully fun nod to retro gaming as well. We had to base our research on many reviews, both parent and teen feedback, as well as how age-friendly and operable these games would be. By finding a balance between an attractive storyline, detailed graphics, and wholesome yet challenging gameplay, we’ve come up with what we believe to be the best Top Ten list for handheld gaming devices. Game Controls — Do They Matter? One of the typical things you probably wouldn’t think about when seeking out a game system for your child is the versatility of the game controls. While games vary in difficulty levels, it’s really the controls that support a hefty portion of that weight. If the controls aren’t spaced evenly, are placed in an awkward position, or just don’t make sense in conjunction with their abilities, a game can easily be fouled. This is especially important with handheld systems, as their ability to be, well, held in one’s hand, determines their level of comfort and playability. We’ll put it simply: There’s just no beating the Nintendo Switch. It’s the newest gaming system to hit the market and also brings with it some pretty serious gaming options that just can’t be beaten. However, just because we say it can’t be beat doesn’t mean that it can’t be matched — Hence the other nine products on this list! Each one offers its own benefits, but one main theme we made sure to keep up with was the graphics of each system. They can make or break a game and even with the retro gaming systems, we sought accuracy and authenticity before adding them to our top choices. Whether you’re playing an old-school game or a new-school reimagining, it’s important that the gameplay feels as realistic, vibrant, and moving as possible. It goes without being said but we’re going to say it all anyway. Handheld systems are unique in the sense that they can be taken anywhere that they’ll fit. They’re small enough to pack into a bag and some even come with their own carrying cases. This makes them ideal for bringing on long school trips, road trips, plane rides, buses, etc. It’s a great source of entertainment that will keep kids occupied but also engaged in what they’re doing. Portable games also allow for a bit more freedom as far as life goes in general; they won’t be glued to the couch and stuck in place with a controller in hand that’s wirelessly connected to a stationary console. This allows kids to involve their family and friends as well as look up from the screen without worrying about needing all eyes on a giant television screen. Many of these portable devices are very budget-friendly when it comes to gaming. Since there’s no need to purchase controllers, a console, or games that range anywhere from $20 to $60, it can often be a good choice for those on a budget. If your child isn’t a serious gamer and is only interested in something to pass the time, they provide the perfect option without breaking the bank. With all the modern advances in the gaming world, we’re seeing more and more systems at an affordable rate, with all the high quality of some more expensive systems. Common benefits include all the things we’ve mentioned prior, but did you know that games might also help to improve things such as vision and decision-making? Modern games introduce things such as choices and realistic situations which can help gamers to process things quicker, logically think out problems, and learn how to adapt to certain situations faster. All of these combined makes for a winning team as far as mental development goes and are all under our “pros” list for child gamers. Gaming can also help children who have autism, as its a personal hobby that allows them to interact with the system and potentially other players as well. This can increase their focus and help them gain and improve basic skills that they’d be hesitant to do outside of their gaming system. Lastly, it can be a massive stress-reliever. Gaming has a way of distracting you but not necessarily in a bad way. Thirty minutes playing a game can do wonders to help decrease a child’s stress and allow them to do something mindless for a little while. By playing their favorite game, they’ll be able to boost their mood and maybe even gain a little confidence in the process. You might have heard talk of the “gaming community” but it’s true — Gamers have created a sense of family amongst those who favor certain consoles and games. With online games especially, it’s a great way to be social and interact while forming new friendships. Your child might find that they run into someone else who loves playing retro games as much as they do or maybe there’s even a club or group at their school for it. It’s no longer viewed as a “nerdy” or “geeky” thing to do which is why we love writing about it on Borncute. Video games can open a whole new world for kids and no longer have a poor reputation for being “distracting” or bad for a child’s health. Rather, they’re shown to be beneficial and beginning to blaze a trail for the next generation of digitally-minded future game developers, graphic designers, writers, and producers. Q: How long will the battery last on this game? A: Each system is different but most should last for several hours at least. Depending on the brightness setting and how long your child is idling their game for, the battery power might fluctuate. All of these systems feature a battery level so that your child will know when it’s time to give them a charge. Q: Are these appropriate for preteens as well? A: Of course! Handheld systems really have no age limit because they’re specific to the types of games your child is playing on them. You can control the game content; the system itself is age-friendly. Q: Do any games come on this system? A: Yes. Some do include games such as the retro game systems, while others must be purchased in order to play. Q: Can they be multiplayer? A: Excluding the Nintendo Switch which features two game controllers for specific games, all of these are single player only. Q: Could these be hooked up to a USB as well in order to charge? A: Systems such as the Vita, 3DS, and Switch have the capacity to be used in conjunction with a USB. The other retro gaming and simplified consoles have their own specific chargers or take batteries. Q: Can the volume be controlled? A: Yes. There should be a volume control either in the “settings” menu or featured on the side of each gaming system.